PRETTY ROMANTIC HOMES~FRIENDS~ AND DESIGNING WOMEN! Let me introduce you to my wonderful and talented friends from our special and unique group called PRETTY ROMATIC HOMES. We are a group offering unique and lovely treasures, hand painted, sewn and created to bring lovely home accents and precious gift ideas. Not only is this group of very talented and designing women special, but the sisterhood is cherished among us and a wonderful place to be. Below you will see just a glimpse of the special treasures each one offers. 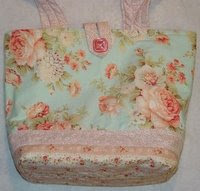 Be sure to click on their shoppes to the right to visit and view all the pretties that will be sure to make you smile. 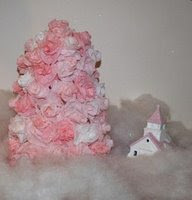 Ele~~ from a BIT OF PINK HEAVEN is a very talented sewer, paper crafter, and elegant decorator in home and display. Her creative talents are exceptional and her visions for new and unique ideas are enless. She is a designing inspiration! Amy~~ from BUNNY ROSE COTTAGE is very creative and designs the pretties paper roses, hand sewn treasures, tea theme decor and adorable hang tags. She is an inspiration and a designing talent with fresh ideas! Katie~~ from ROSE BREEZE BOUTIQUE designs and specializes in lovely rose hand paintings and countryside scenes, hand sewn treasures such as quilts, totes and pillows. Her creativity is endless! 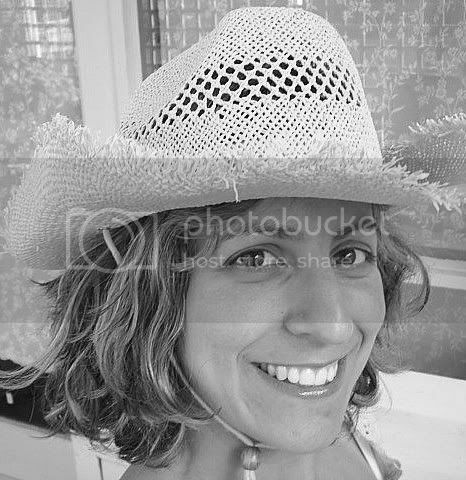 Lorena~~ from ROSE CHIC FRIENDS is a inspiring, spiritual and creative talent designing lovely rose paintings, hand sewn tea cozies and paper crafts with hang tags! She is an amazing talent! Connie~~ from ROSE PORCH DESIGNS is not only our PRETTY ROMANTIC HOMES LEADER, but a very talented sewer, adorable hang tag paper crafter, painter and gorgeous template designer. She is endless with hervalued help and direction. Her creative ideas never end! Karen~~ from SECOND HAND ROSE is a beautiful creative talent and designs rose paintings, paper crafts, hang tags, and hand sewn treasures. Her unique ideas bring special creations! 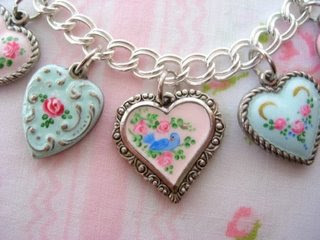 She decorates with charm and true beauty! 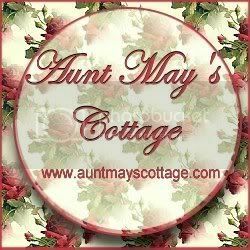 Bertie~~from AUNT MAYS COTTAGE is extremely creative and brings a touch of the Victorian to her lovely treasures. 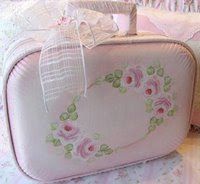 From pearls and lace, curtains and pillows, to home accents for every room in the home, she has it all. Style with charm and the most creative writer too. Stephanie~~ from ANGELIC ACCENTS is one special and talented designer. She offers Venetian Mirrors, beautiful home accents and fabulous home scents, all with a bit of bling! She is a decorating talent and creative with her visions! Rhea~~from SWEET N SHABBY ROSES is an extreme talent, designing soft and precious hand painted roses and pretty victorian paper crafts, hang tags, hand sewn accents and is a spiritual inspiration. She is always creating new treasures! Sharon~~ from SWEET VICTORIAN ROSE brings gorgeous treasures with her special heart charm jewelry designed with the most delicate hand painted roses. She creates paper crafts, sews and adds charm and grace to found treasures. She has a flare for vintage and makeovers! Oh, Celeste! How sweet of you to do this and your descriptions of each of these wonderfully talented ladies is perfect! I love the sidebar as it will be useful in the future, too. What a great idea! I will be doing my promotion spot next week as I'm swampped right now. Love ya, kiddo! Celeste, your blog is so pretty! Thanks so much for all your sweet comments! Isn't it wonderful how close we all are to each other? You are such a special, precious, talented friend! Oh I just love how your's turned out! So pretty and wondfullly describing each of us so well. You have a special gift that way my dear friend! Celeste, you are so incredible! I don't know how you do all you do, chickadee!! Blog on PRH women is lovely, honey. Thanks Celeste for the lovely write-up. I'm so glad you are in the group. I really appreciate your talent.